Comfortable Work Shoes — Anna Akbari, Ph.D.
Each week Sociology of Style shares a few resources that are on our image radar (but probably aren’t on yours – yet). Know something we should check out? Let us know! Stave off that orthopedic footwear a little longer with these comfortable alternatives. 1. 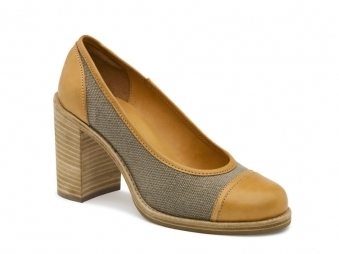 Vince Camuto Wedges: Wedges give you the height of heels, without the hurt. 2. Swedish hasbeens Forest Pump: These clogs are natural, durable, and don’t sacrifice image for comfort. 3. 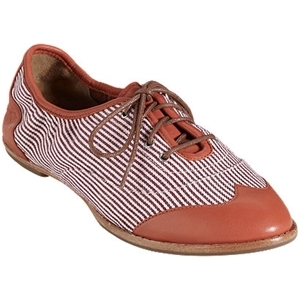 Cole Haan Kody Oxfords: Oxfords are a sophisticated alternative to ballet flats. 4. kate spade Lori heels: A large hidden platform offsets the discomfort of a few extra inches in the heel by balancing the angle of your foot and giving you extra sturdiness. 5. Insolia: No need to replace all your less-than-comfy shoes – these weight-shifting inserts make heels more comfortable and relieve points of strain on the foot and body.